Sometimes you just need to celebrate. That’s what Bavarian King Ludwig I thought when he turned his 1810 wedding celebration into the annual Oktoberfest. Since then, the festival has expanded exponentially. 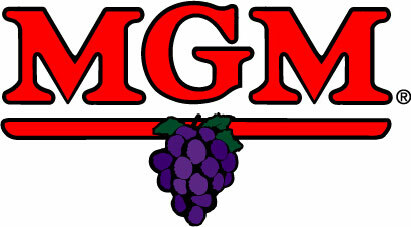 What was once a grand horse race will be 16 days of merriment and beer from Sept. 17 to Oct. 3 this year. To start it all off, Munich’s mayor will open up the first keg at noon and yell, “O’zapft is”-it’s tapped! While beer wasn’t the focus of the original Oktoberfest, there was plenty to go around since many people considered it safer to drink than water; the distilling process killed harmful bacteria. 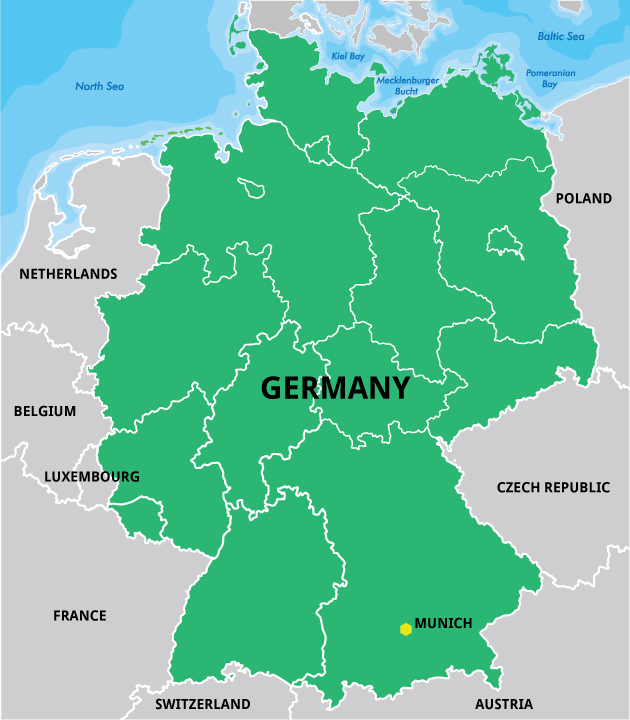 Now, of course, Munich’s Oktoberfest is home to 14 large beer tents that can serve up to 10,000 people each, and 7.7 million liters of beer were consumed at last year’s Oktoberfest. Are you surprised, though? Oktoberfest has its own special beer: Märzen. The traditional Märzen has a higher alcohol content (usually between 5-7 percent) than regular beer because German brewers discovered that it kept the beer from going bad during hot summer months. Back in the day, brewers would make Märzen in the spring (März is March in German), store the beer in the coldest caves and cellars they could find, and finish up their beer tanks in the fall to prepare for another cycle. Six local breweries supply all of Munich’s Oktoberfest, and although they lay claim on the official Oktoberfestbier, you can find Oktoberfest-styled beers everywhere because of the festival’s popularity. Oftentimes, brewers will infuse hints of caramel into their beer, so pairing the amber drink with pork or chicken works well. If you want more of a snack, go for a pretzel or even some sauerkraut. 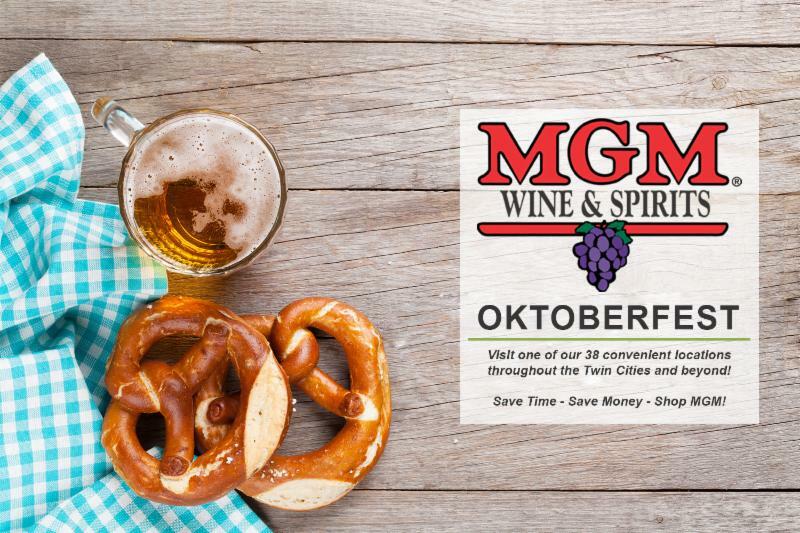 So eat heartily, sing loudly and raise your glass to Oktoberfest. It’s time to celebrate. Experienced Oktoberfest bartenders can fill your liter stein in 1.5 seconds. Those who have had the opportunity to experience Oktoberfest in Munich will no doubt have vivid memories of the “halb hendl” or rotisserie chickens they serve with a side of french fries. You will also find pork knuckles, wurst, sauerkraut, assorted sausages and salted white onions. 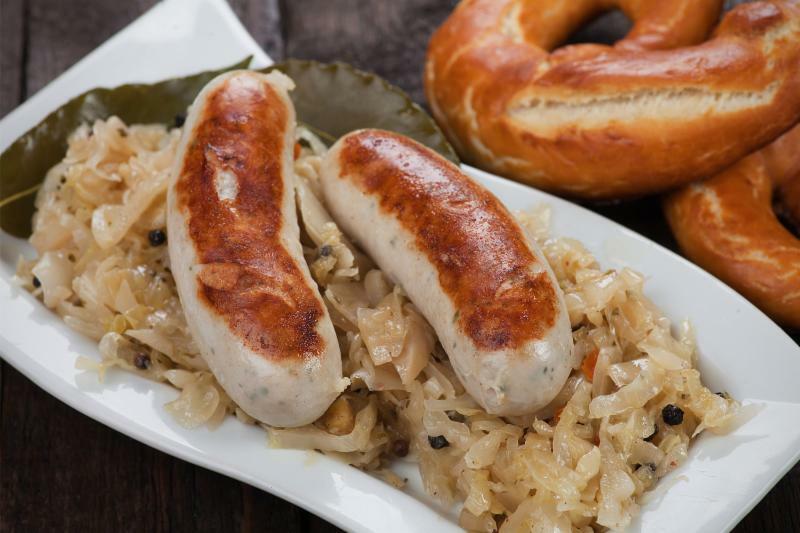 Germans have perfected the art of pork and beer pairings by means of the sausage. The sweeter, toasty malt flavors and relatively subtle hopping pair well with rich but not strongly flavored pork. Soaking or cooking the brats in beer will only strengthen that marriage of flavors. 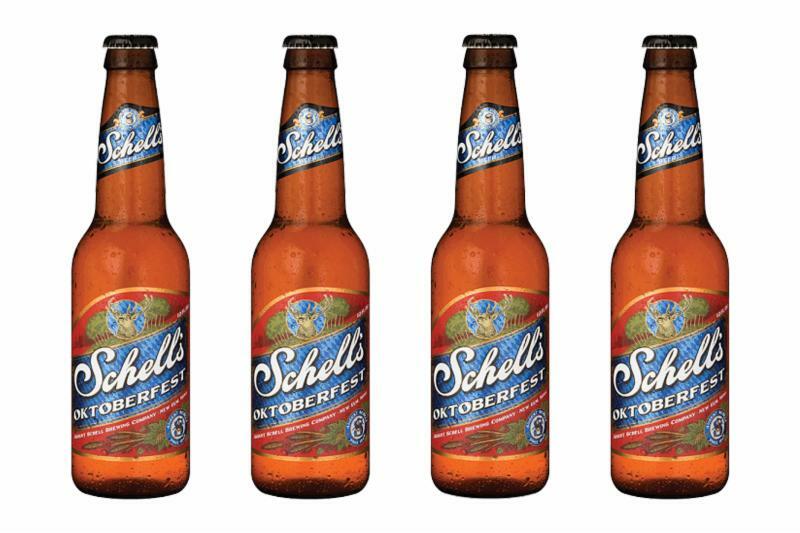 Moving away from the traditional pairings, Schell’s Oktoberfest is also a very versatile beer. Steaks and burgers fresh off the grill will pair nicely as long as they aren’t doused in sauces. Pizza also works well, as the bready malts pair nicely with the hint of sweetness in the tomato sauce and crust, while the crisp carbonation and light hops keep if from being cloying. For cheese pairings, try highlighting the nutty, malty flavors of Oktoberfest with creamy, earthy, nutty varieties such as robust Swiss, Emmental and Gruyére. 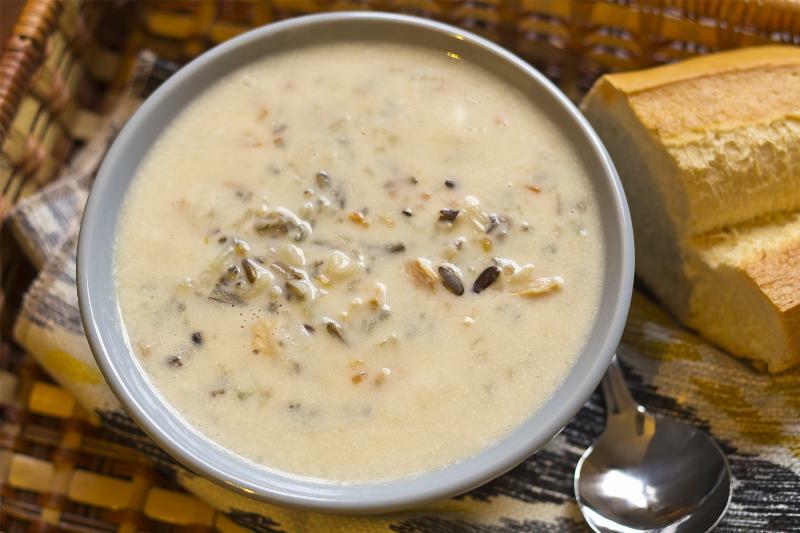 Beer and soup go together like Lederhosen and sauerkraut, and this wild rice soup is the perfect example, creating a hearty meal that’s good for any occasion. Cook wild rice according to package directions and reserve. Heat olive oil in a stockpot over medium heat and sauté onions, shallots and garlic. Add broth, carrots and honey, increase heat to high, and bring to a boil. Reduce heat, add Schell’s Oktoberfest and stir to reduce foaming. Add cooked rice and simmer for 15 minutes. Salt and pepper to taste. Serve with hearty bread, and of course, Schell’s Oktoberfest beer. Recipe provided by chef Christopher Jacobson with the Country Pub in St. Peter, Minn. Founded in 1860, Minnesota’s oldest brewer, August Schell Brewing Co., is also the second oldest family-run brewery in the country. And they make one of the best local Oktoberfest beers. With its bright copper-orange color, Schell’s Oktoberfest is quite symbolic of the autumnal shift of the season. A slightly higher strength (5.5% ABV), and warm malt body make it the perfect companion for the crisp fall weather in Minnesota. The Munich and Vienna malts give this MÃ¤rzen its toasty malt backbone and melanoidin-rich flavor and aroma and the perfect combination of hops balance to create a rich, smooth taste.